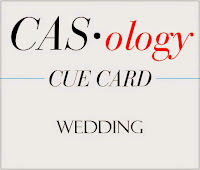 For some reason I always think of wedding cards as being very frilly and embellished so I was panicking a bit about this cue word. In the end I kept it super simple with an image, a sentiment and a bit of bling all confined to the lower third of the card. Now it's time for you to check out the gorgeousness from the rest of the design team and then get to work! 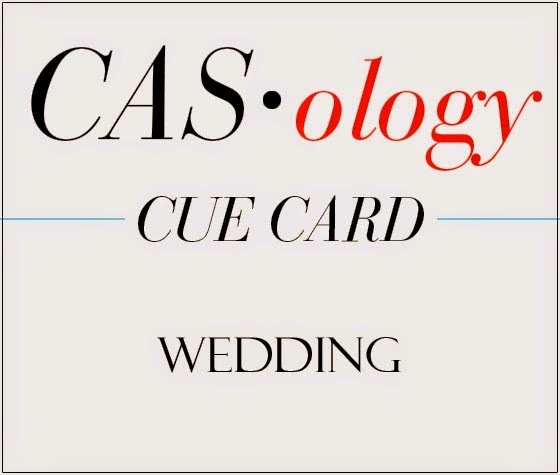 Love how you have arranged your trio of elements on your card, and the black 'white space' is an unexpected but nice change. I've learned lately that not all brides go the "frilly" direction so you are right on the mark Jen!! Love that sketchy heart die, this is wonderful! 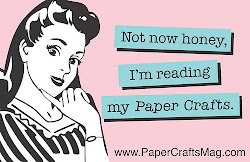 This is super cool - modern, dramatic and graphic - exactly what I expected from you! That heart is stellar Jen, love the modern design! 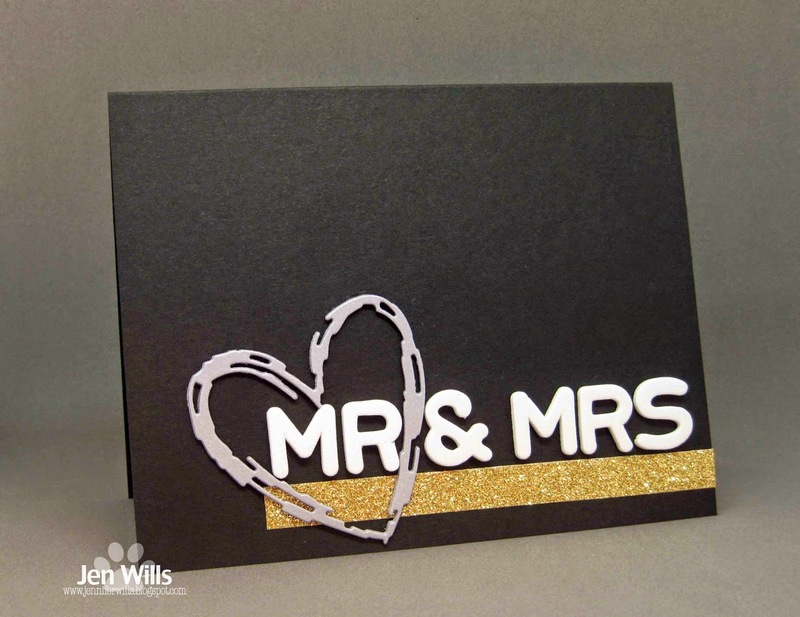 Great bold design for a wedding card, (love the absence of frilly myself too)! You. Are. Brilliant. That is all. Actually, I had to come back to say more. 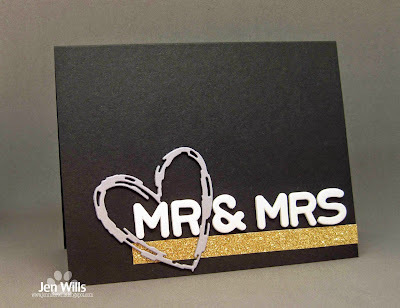 I am blown away that you made a black base wedding card and it is amazing! I would never dream of even trying this, and you have shown it can be done in an AWESOME manner! Love that heart and the strip of gold...this is just amazing. Hey Jen!! I love how you tied in that heart die with your sentiment. So pretty! !